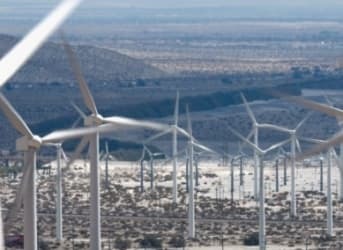 Whether it will meet it, however, remains an open question because the more intermittent renewable energy California adds the more difficult it becomes to integrate it with the grid. This problem in fact became evident fairly early on, and in an attempt to solve it California in 2010 passed legislation (AB 2514) to encourage its publicly owned utilities to install energy storage – batteries, thermal, flywheels, CAES, pumped hydro (not exceeding 50MW), whatever worked – requesting them to develop viable and cost-effective plans and submit end-2016 energy storage capacity targets by October 1, 2014. This deadline has now passed, the ballots are in and the submissions from 29 of 31 California publicly owned utilities (two of the links provided don’t work) have been published here. And how much energy storage did the 29 utilities commit to? • Two utilities (Los Angeles Department of Water and Power and Redding Public Utilities) committed to new storage projects totaling 27.6 MW. • Two utilities (Riverside Public Utilities and Vernon Gas and Electric) set targets of zero MW. • One utility (Glendale Water and Power) adopted its existing 1.5 MW of installed thermal storage as its target. • The remaining 24 utilities declined to set a target, almost all on the grounds that energy storage is cost-ineffective and/or technologically immature. A target for Burbank Water and Power to procure energy storage is not appropriate at this time due to lack of fully developed, cost-effective energy storage opportunities. Staff concluded current storage technologies are 2 to 10 times higher cost than energy from Roseville’s existing portfolio of resources. The results of the staff study concluded that energy storage systems are currently not cost effective and in most cases increased cost by millions each year. cost effective at this time, with the exception of large scale pumped hydro storage. Which helps SMUD not at all because large-scale pumped hydro is the one storage option California doesn’t allow. 1. That California is not going to get any meaningful amount of energy storage capacity before 2020. 2. That in all likelihood no one else is going to get any either. The economics just aren’t there (pumped hydro excluded). 3. That lack of energy storage capacity will continue to limit the grid penetration of non-dispatchable renewable generation for the foreseeable future. Alameda Power & Water: (finds) that energy storage systems are not currently viable or cost-effective for Alameda Municipal Power and (recommends) that procurement of energy storage systems be deferred until further justified. City of Anaheim: ES technologies are relatively new and expensive not to mention vary in maturation and … are space intensive and difficult to site in an urban setting such as Anaheim and … do not assist Anaheim with reducing peak demand as Anaheim is already resourced to meet such demands. Azusa Light and Water: (C)ommercially available energy storage technologies, although technically feasible, are not cost-effective at present. Biggs Municipal Utilities: (C)ommercially available energy storage systems are not currently viable and cost effective for the city at this time, and the City is not adopting procurement targets at this time. Burbank Water & Power: (A) target for Burbank Water and Power (BWP) to procure energy storage is not appropriate at this time due to lack of fully developed, cost-effective energy storage opportunities. City of Cerritos: The application of utility-owned and operated energy storage technology to serve the City’s electric utility customers over the next three years is more costly than the value of benefits. City of Colton: Energy storage systems at this time are not economically viable due to their high cost. Glendale Water & Power: It is recommended that the City Council approve Glendale Water & Power’s current installed energy storage capacity of 1.5 MW as GWP’s energy storage procurement target for the purpose of compliance with California Assembly Bill No. 2514 (2010). Lodi Electric Utility: has determined that the economics behind energy storage deem it not cost-effective at this time. City of Lompoc: it is not cost-effective for the City to develop ES procurement targets at this time. Merced Irrigation District: (S)ince MID does not purchase renewable energy… does not have direct access to, nor does it produce renewable energy for use in its electric retail system separate and apart from the power it purchases …. is not aware of any cost-effective technologies and/or applications that have been identified for the District’s operations, and since energy storage systems are generally intended to be tied to a renewable generation source, there is no purpose for implementing a procurement target for energy storage systems for use within MID’s electric retail service at this time. Los Angeles Department of Water & Power: There are two projects that are deemed eligible energy storage systems namely, a generation connected storage with a net incremental capacity of 21 MW and an incentivized customer connected storage with a raised peak demand shift of 3MW, and LADWP will primarily rely on these two projects to fulfill its 2016 procurement targets totaling 24MW. Modesto Irrigation District: has not identified reliability or operational needs that could be met only with energy storage and that would require the adoption of mandatory energy storage procurement targets …. (and therefore adopts) a policy that it is currently not appropriate for the District to adopt formal energy storage procurement targets. City of Needles: determines that establishing a target for the City of Needles and the Needles Public Utility Authority to procure energy storage systems is not appropriate due to the absence of a clear and present need for energy storage systems. City of Palo Alto: (A) target for the city of Palo Alto utilities to procure energy storage systems is not appropriate due to lack of cost-effective options. Pasadena Water & Power: It is not appropriate at this time to establish procurement targets for energy storage systems to be procured by Pasadena Water and Power due to lack of cost-effective viable options. Pittsburg Power Company (Island Energy): Staff recommends that the Board adopt no energy storage systems for Island Energy since energy storage systems are not feasible or cost-effective for Island Energy’s current operation. Port of Oakland: Energy storage systems are not viable nor cost effective for the Port at this time. Redding Electric Utility: While not legislatively mandated to do so, in June 2012, the Council approved the expansion of REU’s (Thermal Expansion Storage) Program. The TES Program expansion provides for approximately 2 MW of PLS that would be in addition to REU’s existing TES/PLS already procured and installed from 2005 through May 2012 (1.3 MW). In addition, the Program expansion includes contract provisions for 2016-2017 allowing the City to procure additional TES/PLS systems up to 0.8 MW should REU operating conditions warrant more TES/PLS capability. In summary, REU’s energy storage targets for 2016 and 2020 are 3.6 MW and 4.4 MW respectively. Riverside Public Utilities: Recommend(s) that the City Council adopt an Energy Storage Procurement Target per Assembly Bill 2514 of zero megawatt at this time as none of the viable applications of energy storage technologies/solutions that may benefit RPU are cost effective. Roseville Electric: Staff concluded current storage technologies are 2 to 10 times higher cost than energy from Roseville’s existing portfolio of resources. In addition, the extent of application benefits remains unproven. Therefore energy storage procurement targets are not appropriate at this time. City & County of San Francisco: concludes that it is not cost-effective for the SFPUC to adopt an electric storage procurement target at this time. Sacramento Municipal Utility District: determines that the adoption of energy storage procurement targets is not appropriate at this time due to the lack of viable and cost effective energy storage options prior to the target dates set forth in Assembly Bill 2514. City of Santa Clara: With the exception of pumped hydroelectric power, very little commercially available energy storage is currently cost-effective. Truckee-Donner Public Utilities District: finds that energy storage systems are not currently viable and cost effective for this District, and the District is currently not adopting procurement targets. Turlock Irrigation District: The results of the staff study concluded that energy storage systems are currently not cost effective and in most cases increased TID cost by millions each year. Vernon Gas & Electric: Vernon Gas & Electric staff recommends that the city adopt energy storage procurement targets of zero megawatt hours by December 31, 2016, and December 31, 2020, because energy storage is not cost- effective, and, therefore, not appropriate for the City and City customers. City of Victorville: (A) review of existing energy storage technologies did not identify an application that would be cost-effective at this time; however, it is anticipated that energy storage systems will become more commercially tested and cost-competitive with other resources with the passage of time and improvements in technology. I am not convinced, but the thesis that the existing grid compensates for highly variable demand in exactly the same way that it compensates for highly variable supplies like renewables is interesting. Costs of that variability are another matter. That is where storage may be competitive today in some markets. It seems that a good solution would be to simply stop generating as much electricity through hydro during peak solar power production and then at night turning it back on. The main factor I believe is that electricity producers are competing to provide their resource. If say a utility owns a generator ( regardless of whether its from solar, geothermal, coal, natural gas, or nuclear ) this means they have invested money in that equipment and even if storage capacity were on a par with generation, no one entity that has invested money into that form of source for electricity would cede their profits to another entity for benevolant purposes.